If you live in Central Florida—or are heading toward Orlando’s Mouse House this summer—why not try something completely different with the family: go scalloping. 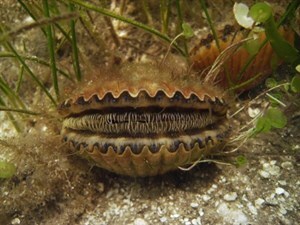 What’s scalloping, you ask? It’s like an underwater Easter Egg hunt, only the prize is tasty shellfish, aka bay scallops. We’ve just discovered scalloping and are having a blast. The prime scallop grounds are just off Homosassa, Crystal River and Steinhatchee, because they have the right combination of fresh and saltwater. 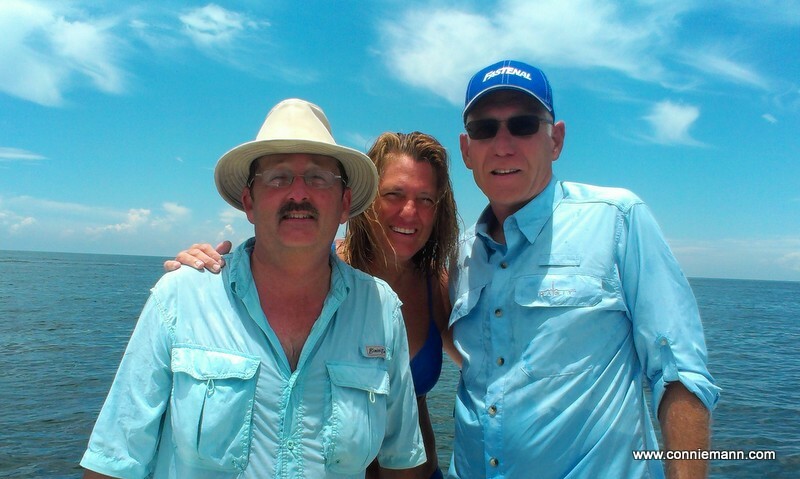 We headed out of Crystal River the past two weekends and had a ball. If you don’t have a boat—or friends who will take you along—there are plenty of outfitters offering scalloping trips this time of year. A quick online search will net plenty of options. If you bring your boat, the trick is to get there early enough to avoid boat-ramp craziness. We arrived by 7 a.m. and were at one of the prime scallop areas before eight. If you’re a newbie and don’t know where that is, just follow the flotilla. Once the sun comes up, all you see are boats stretched out to the horizon. We’d heard you should be aware of the tides, but we weren’t sure what that meant until last Saturday. Scallop on the slack tide (between high and low) so you don’t have to kick as hard and the grass is upright so the scallops are easier to spot. Bring a mask, snorkel and fins—and make sure you check them beforehand if you haven’t used them in a while. You don’t want to get out there and find out you have a leaky mask. Also, don’t forget the sunscreen, especially on your back, or you’ll be hurting later. The water is bathtub warm so even if you don’t catch anything, it’s fun. We saw starfish, a seahorse and a small blowfish. 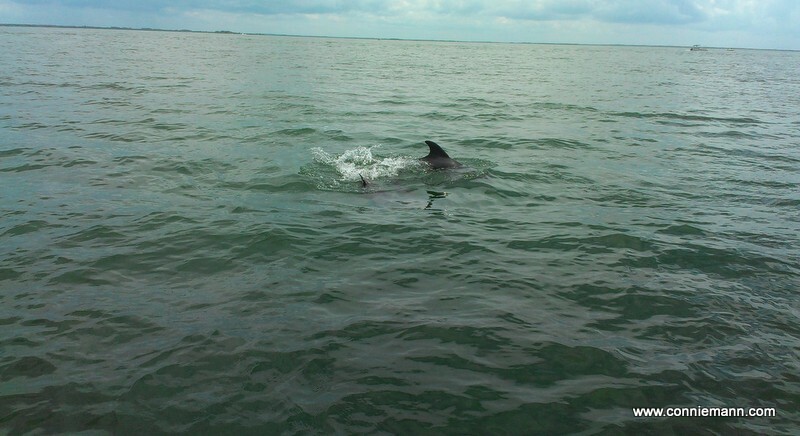 We even encountered a pod of dolphins on our way back. You want to drop anchor in 4-6 feet of water and look for scallops in eel grass, which is about as big around as fishing line, or in turtle grass, which is a bit wider. We moved the boat a few times to find the right spot, but last Saturday we came close to catching our quota for the first time. Speaking of quotas, there are daily limits: 2 gallons whole bay scallops in shell, or 1 pint of meat per person. (Maximum 10 gallons in shell, or 1/2 gallon meat per boat.) Check the Florida Fish & Wildlife Conservation Commission website for more information. Bring marked buckets, because if you go over, the fine is steep. You need a saltwater fishing license, and must have a dive flag displayed from the boat’s highest point. With thunderstorms popping up in the afternoons, you’ll want to be done by noon. We learned that if you put the scallops on ice, the shells pop open and that makes them easier to clean. Grapefruit spoons with their sharp teeth make excellent cleaning tools—and cleaning the scallops aboard means the mess—and smell—never make it in the house. This year, scallop season won’t close until September 24, 2014, so there’s plenty of time to get in on the fun. Here’s a video I found that gives an underwater peek. When I’m not writing, that’s what we’re doing this summer. What fun things are you up to? Sounds like a lot of fun, Connie. Gorgeous pictures. Thanks for sharing. Thanks, Jan. It’s such fun. If you get a chance to go, do it! !Great memory-maker! I definitely want to try this – and make a yummy meal afterward! Sounds great! You would love it, Jamie! Tons of fun and yes, we love the bonus of a tasty meal afterward!